The Giant Mushroom Fountain has all the natural beauty of real rock with the added durability and light weight of fiberglass. Aquascape’s Giant Mushroom Fountain creates the soothing sound of trickling water making it the focal point of any setting. The Giant Mushroom Fountain has all the natural beauty of real rock with the added durability and light weight of fiberglass. 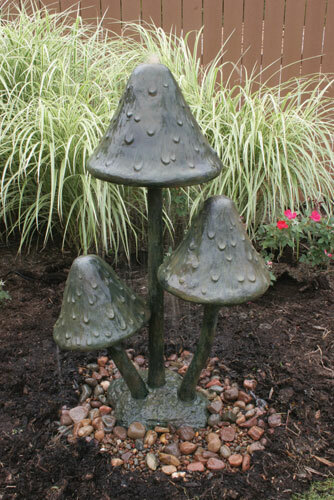 Create a natural paradise in your back yard with Aquascape’s Giant Mushroom Fountain.